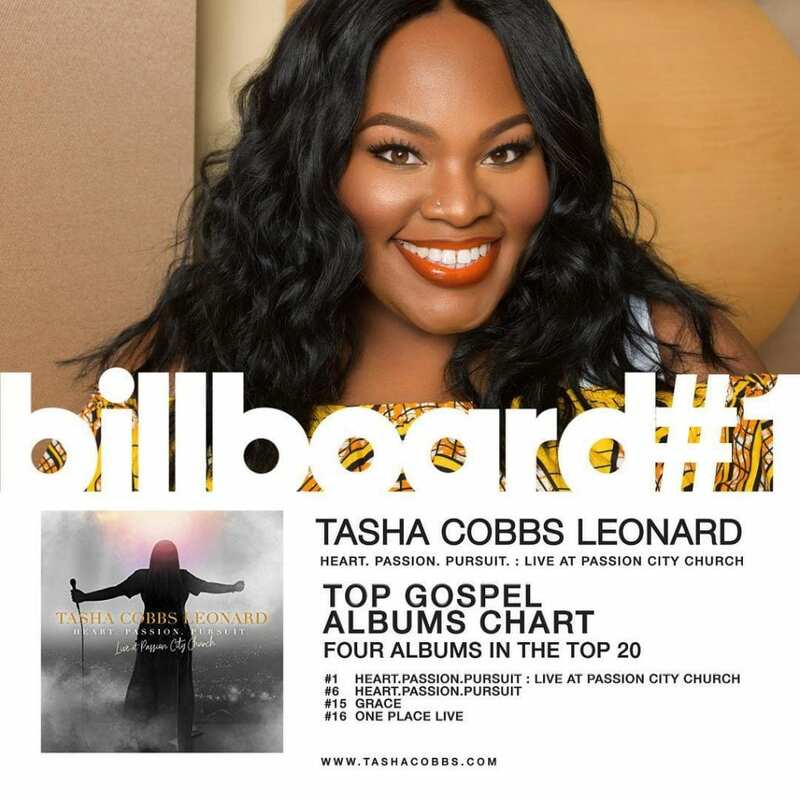 Celebrated American worshipper and Gospel artiste Tasha Cobbs has done it again by topping the billboard gospel album chart with her new album ‘Heart.Passion.Pursuit: Live at Passion City Church’ in addition to grabbing 3 other spots among the top 20 albums on the chart. 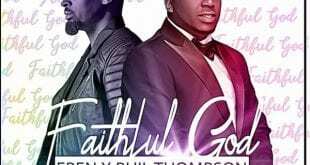 The new album barely two weeks old, has already seen a massive love with the highest streaming and purchase stats worldwide qualifying it to be the topmost gospel album on the world’s most consistent chart. In addition to this great success, Tasha is also overjoyed seeing her other 3 albums still gaining recognition on the chart. ‘Heart.Passion.Pursuit’ her 3rd album released in August 2017, is occupies #6 spot on the chart. 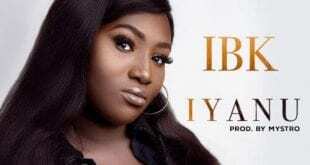 Grace, her major-label debut album released in February 2013 is still blessing people occupying the #15 positon and finally ‘One Place Live’, a live album released in August, 2015 under the MOTOWN Gospel grabbing the #16 spot on the chart. Wow guys‼️‼️‼️ I’ve been in travel all day and didn’t take a moment to share this with you! Heart Passion Pursuit Live is #1!!! Thank you for all the love and support down through the years! This album was so fun! I pray that this live experience has been a blessing to your personal worship encounters! My Husband @musikdr produced another worship tool to usher us in during our times of worship! Hey! We have 4 albums in the top 20… that’s crazy!!! Thank you for loving me! I love you back!!! NY, we will see you tomorrow at the REVIVAL!!! 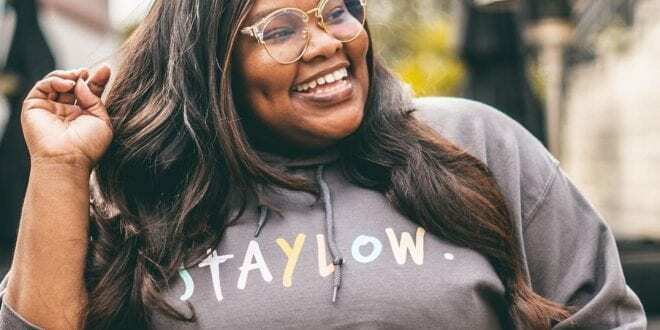 Singer, songwriter, minister, and psalmist Tasha Cobbs began her music career in Atlanta, working for her pastor father and running the family’s music ministry at Jesup New Life Ministries. She began three years’ worth of touring America with Pastor William H. Murphy III and his dReam Center Church of Atlanta in 2006. In 2010 she launched her solo career with the album Smile, released on her own Tasha Cobbs Ministries label. Three years later, major-label EMI would release her sophomore effort, Grace. 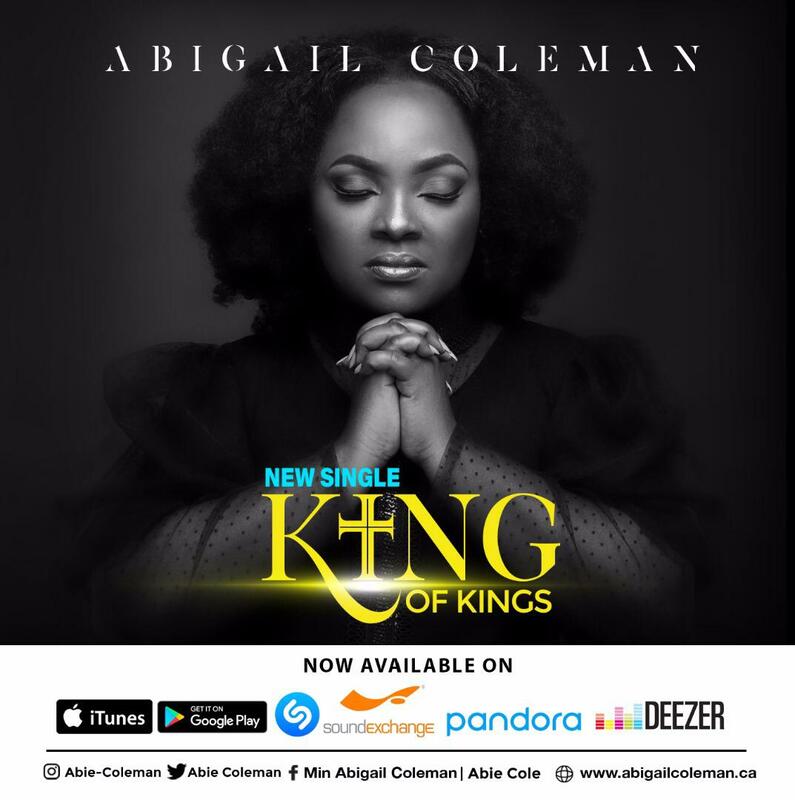 In 2015 she moved to the Motown Gospel imprint for One Place Live, an album recorded at the Redemption Church in Greenville, South Carolina. Cobbs married music producer Kenneth Leonard on March 3, 2017. Five months later, Tasha Cobbs-Leonard released a new album, Heart. Passion. Pursuit.